However, if you want to plan an outstanding event, you don’t have to do it alone. On the contrary – professional event planners’ careers have been some of the most popular jobs to do over the course of the last decade. On the other hand, if you want to save yourself some money, you can use an event registration software instead. That being said, if you are an event planner yourself, there are many reasons why you could benefit from using event registration tools. Do you want to process credit cards? Do you want the option to send follow-up emails to attendees? Would you like to encourage recurring giving? You can use an event registration website as one of the best ways of promoting an event. However, it is not the same if you wish to promote a single event or if you need to feature events on your site regularly. With a single event, you should create a dedicated page containing all the necessary information, while with multiple events, you could really benefit from a registration software. Now, let’s talk about why. An online event registration software is a tool that will not only help you manage the events easily, but it will also be enjoyable for attendees to use. This means that you will likely reduce the number of people who don’t complete event registration while also giving you the control of registration branding. 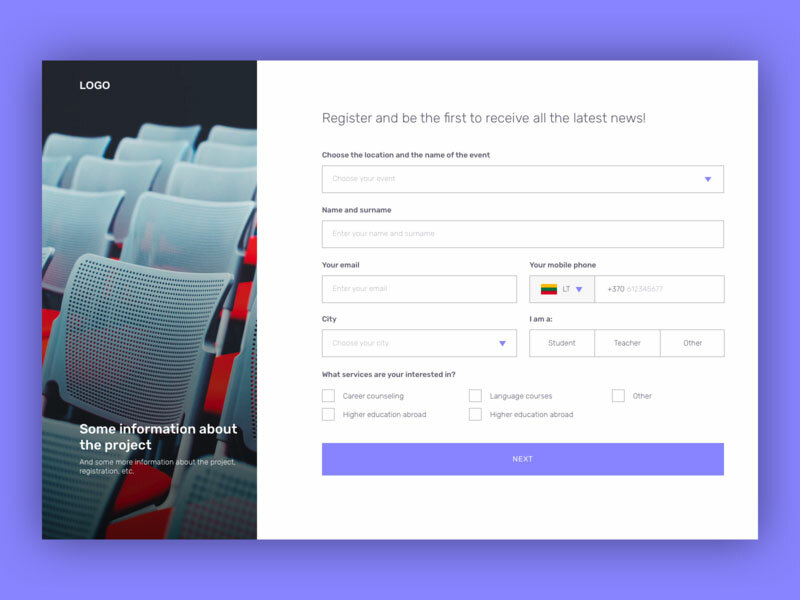 Unfortunately, many event planners, promoters, and marketers ignore event registration software and simply assume that getting attendees to the registration page is enough. Unfortunately, this often turns out to be a costly error that you definitely want to avoid making. A meeting registration software saves you a lot of time that you would normally have to spend on event registration management. However, a free event registration software allows you to focus on more important things such as improving attendee experience instead. Online registration for events makes the entire process much more convenient both for the staff and the attendees. Not to mention how much more efficient it is compared to mail where you have to print out a form, fill it, send it, and wait for it to be delivered. Luckily, with the new technologies and good event registration software, you can forget about those slow steps. Conference registration software allows you to customize fields and collect all the relevant information that you need from the attendees quickly and easily. People rarely attend events alone; they often come in groups which is why free event registration should also include group registration. Key Features: Make sure it supports registrant’s management, custom tickets, analysis, ticketing web, and other things that you feel you might need. Reputation: You should opt for a reliable and trustworthy registration system with good reviews and a good reputation. Attendee engagement: Your register system should make it easy for you to communicate with the attendees from the moment they purchase their ticket to the end of the event in question. 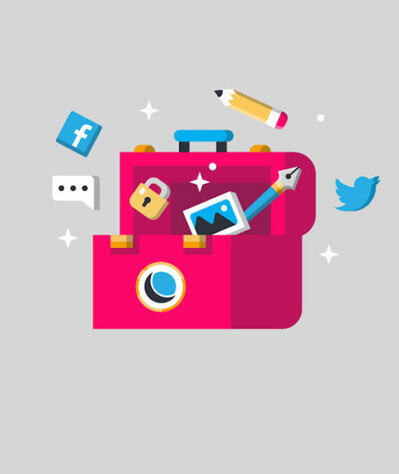 Extra tools: Choose an online registration system that comes with the best selection of tools and features to give you the ability to manage everything from creating an event app to name badges. Pricing: While it might be tempting to use a free registration site, first you should check if you are not missing on any critical features. Anyhow, find registration programs that fit your budget and compare their prices as well as what those prices can get you. If you are looking for a reliable register software, Amelia should be one of your first picks. It is a powerful all-in-one booking specialist, yet it is very easy to use. On top of that, it manages your bookings 24/7 so you can spend more time focusing on more important aspects of your job. Amelia sends automated notifications to the users and your staff, helps the clients pick the service and the employee that best fits their needs, takes care of invoicing and payments, and more. On top of that, it is a highly customizable event registration service which means that you will be able to customize it to fit your brand as best as possible. Eventbrite is an easy event software for creating an event that will be given its own listing page. Then, if you wish to feature it on your own website, you will simply embed a quick checkout form by copying and pasting a dedicated code. The downside, however, is the fact that it can get rather costly, especially if you sell a big number of tickets. This makes Eventbrite a good solution for those who are primarily promoting free events or listing events on rare occasions. 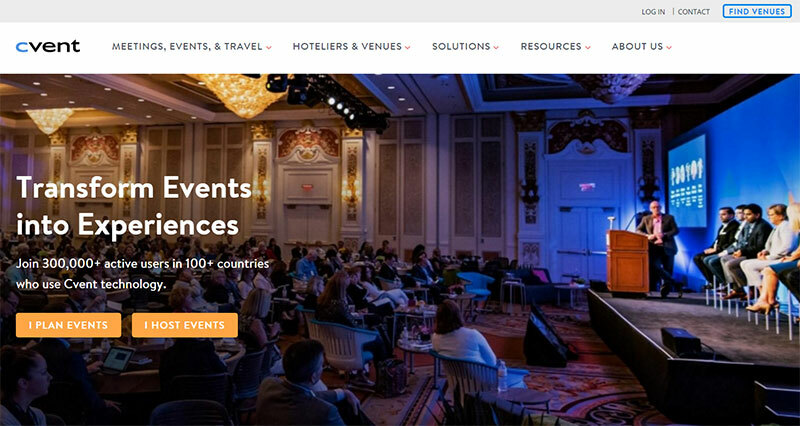 Event Smart is a hosted event registration software which means you can get started with online event payment and registration right away and without managing your website. On the other hand, it also comes with a good selection of customization options and lots of useful features. It is a particularly good solution if you want to run a dedicated events website without having to host and maintain it yourself. TicketTailor is another of the hosted register programs and event registration sites. It allows you to create your events and run them through the platform’s ‘box office’ feature. 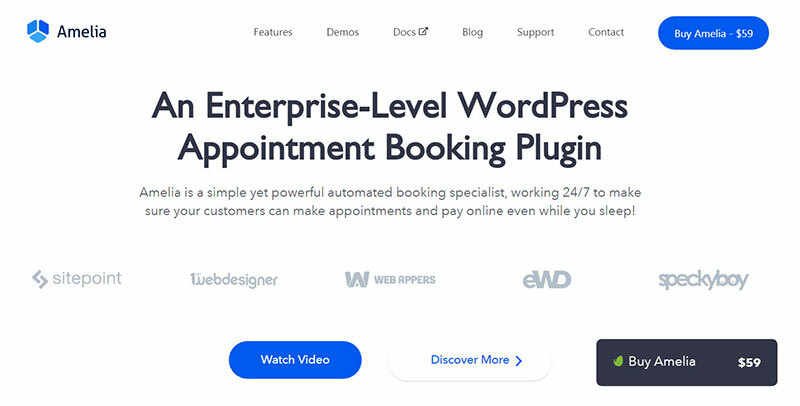 Alternately, you can integrate them with your WordPress website using an official plugin or feature them on social media such as your Facebook page. Keep in mind though that its pricing structure gets more affordable if you run a great number of events. Additionally, if you are looking to promote events primarily through Facebook, TicketTailor might be the right pick for you. 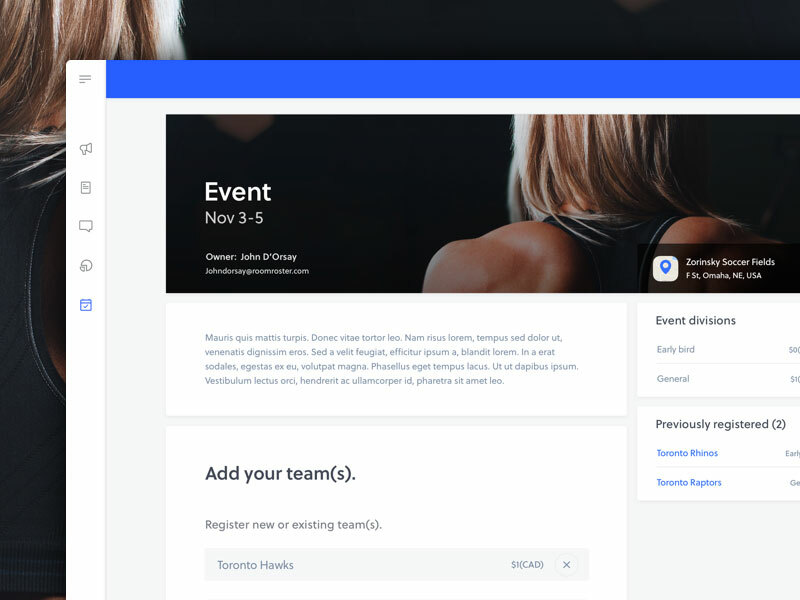 Events Manager is the first WordPress-specific solution that we mentioned today. It is a corporate event registration software that comes in the form of either free or premium plugin. It will not host your events for you, but it will provide lots of tools to help you run and promote your events on your own. It is great for managing everting event-related on your own website while it also comes with a variety of customization and optimization options for each event. Cvent is a cloud-based event registration software that is particularly useful to large organizations that need to deal with venue sourcing, budget management, and online event registration. It is particularly handy for those organizing high-end events where the cost is not one of the major concerns. Unfortunately, its complexity is a common complaint and while reporting is oversimplified, the actual software is a little bit rigid and hard to use even for the most experienced of users. If you plan, manage, and organize events often, one of the best ways of making your job easier is by finding the right event registration software and event payment system – preferably, all in one. In this article, we talked about 6 great registration program options that you should check out and consider using. With the help of the right event registration service, you will be able to focus on more important aspects of your job, while the software takes care of all the heavy lifting for you.